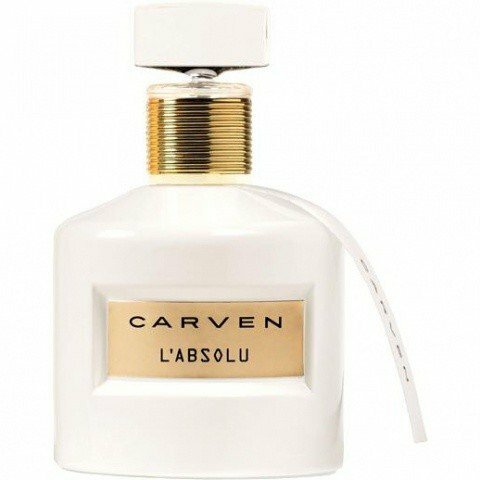 L'Absolu is a perfume by Carven for women and was released in 2015. The scent is floral-sweet. It is being marketed by Groupe Bogart. L`absolu comes to me like an impressive wave as high as a house - but her spray sprays into thousands of shiny pearls on the beach. These gently roll over my skin and turn into rainbow prisms. The ylang shimmers, the jasmine shines, and the tuberose changes in its bright light. The iris dims the play of colors slightly, and the light becomes a tone darker and milder. Mandarin lets the scent flow, and sandal nestles it to the skin. I think of Venus, the foamborn, coming out of her shell. This foamy fragrance gets its fullness from the beguiling cistus. The soft patchouli tells of the goddess's long journey, from distant shores to the here and now. A magical, partly mystical scent - and you want the sea. Write the first Review for L'Absolu!